~sigh~ This weaving thing is harder than I realized. 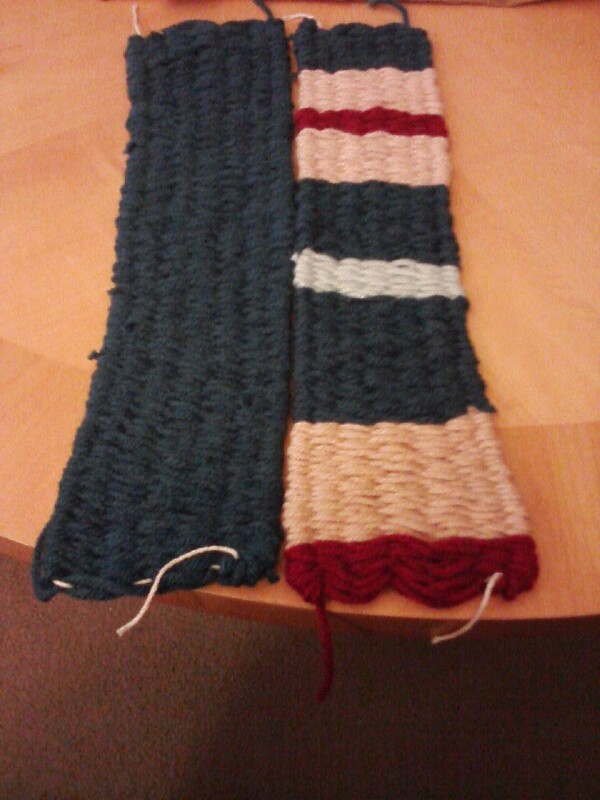 I started off intent on making a scarf...how hard could that be, right? Well, right from the start I pooched it. See, I don't know if you can tell from the picture above, but the solid colored length is how it should look. Straight and full. The multi-colored section has a decided hourglass look. Wide at the ends and thin in the middle. Quote of the Day: Each moment is a place you've never been. The Pulitzer Prize-winning poet was born on this day in 1934. Currently Reading: Magic Unchained by Jessica Andersen. Her Nightkeepers series has been inspired and a joy to read. Awesome characters and a great storyline. 1. Having a rounded build or body structure. 1. A person of the pyknic type. His pyknik is also tall, and joy to behold.